On Sunday, June 12, 2016, I also attended Lavender Graduation (which was right after the Women’s and Gender Studies ceremony). 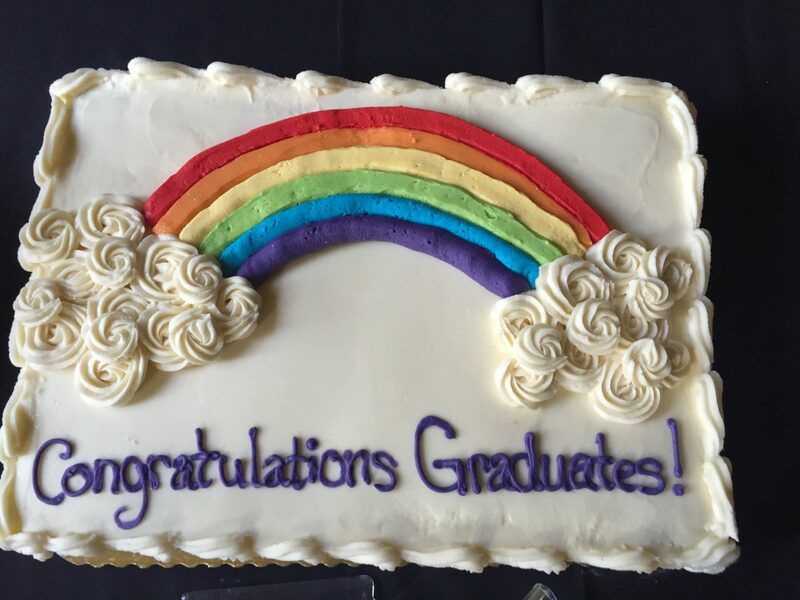 Lavender Graduation honors and celebrates LGBTQ+ students, their families, and allies from across disciplines and degree programs. Lavender Graduation provides a separate, inclusive, and safe space for these students, who often feel marginalized or unrecognized in their home departments. The ceremony was organized by the Lesbian, Gay, Bisexual, and Transgender Education and Support Services (LGBTESS) office. It was quiet, intimate, poignant, emotional, and wonderful. It was much needed light and love. Congratulations once again to the Class of 2016! I was honored to attend Lavender Graduation but did not realize that I would be honored myself! As part of the awards portion of the ceremony, I was given a Distinguished Faculty Award and presented with a fabulous plaque. I was so surprised. 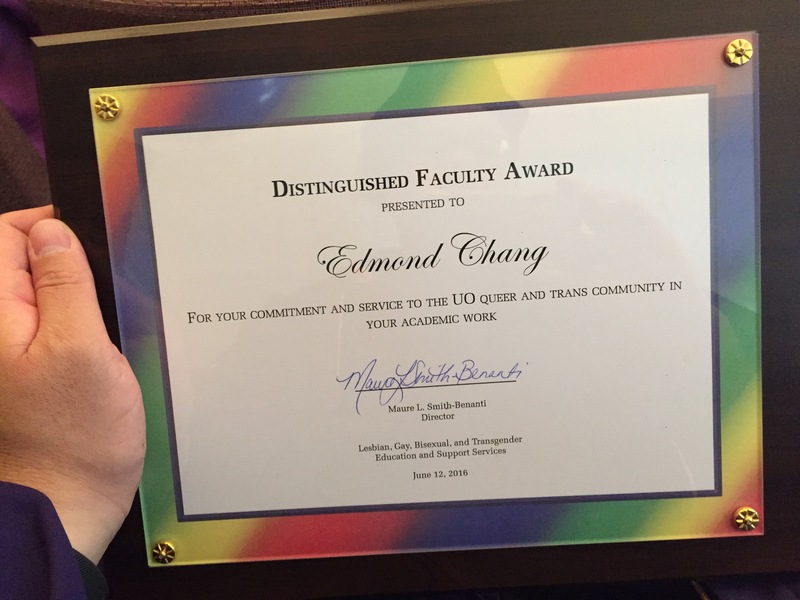 Thank you to my students, who nominated me for the award, and to the LGBTESS for the recognition! I hope to continue to teach, serve, challenge, mentor, and care for the LGBTQ+ students and community at the University of Oregon. This entry was posted in #thirdyearfaculty and tagged 2016, distinguished faculty award, Lavender Graduation, UO LGBTESS. Bookmark the permalink.